Along with serving as the housemother for the University of Georgia’s first women’s residence hall, Jennie Belle Myers (BSHE ’27) was a strong supporter of women’s education at UGA. She established a scholarship for home economics majors – one of the first of its kind for the university’s female students. At her passing, the Jennie Belle Myers Memorial Scholarship was established in her honor and combined with the home economics scholarship she created. 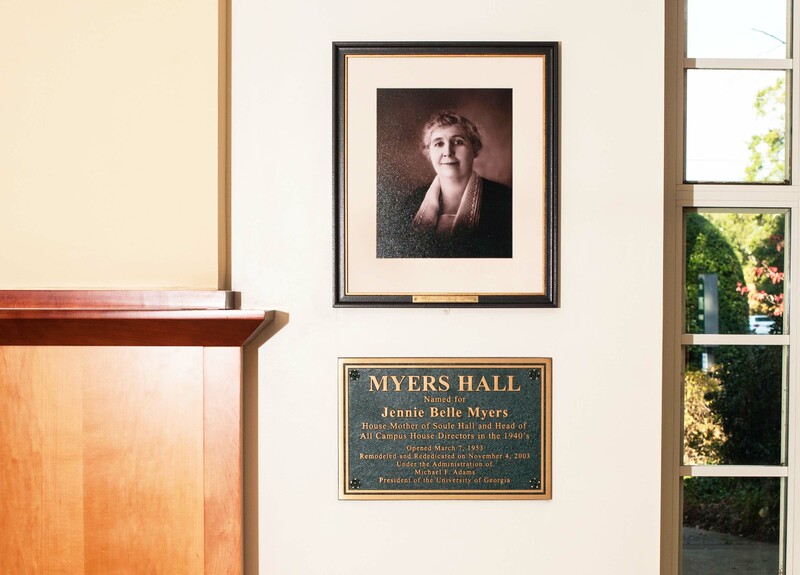 On November 3, a new portrait of Myers was hung in the hall that is her namesake – Myers Hall. The portrait was donated by her granddaughter, Dare Hartwell. 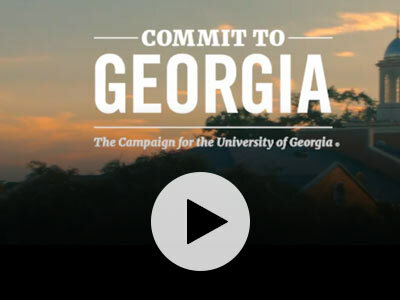 Hartwell has continued her grandmother’s legacy by supporting her scholarship fund. At the portrait’s dedication was Hartwell’s second cousin, Jim Stewart (BBA ’72), his wife Angie and their daughter Paige, a current UGA student pursuing her bachelor’s degree in business administration from the Terry College of Business. Opened in 1953, Myers Hall was built to complete a quadrangle of women’s residence halls which also included Soule, Mary Lyndon and Rutherford. Myers had amenities not found in other dormitories, including a library, sundecks, guest suites and lounges. The hall was reserved for women until 1974, when men were allowed to live in one of the building’s wings. Today, Myers Hall houses first-year UGA Honors students. During renovations in 2003, the original portrait of Jennie Belle Myers that hung in the hall went missing. 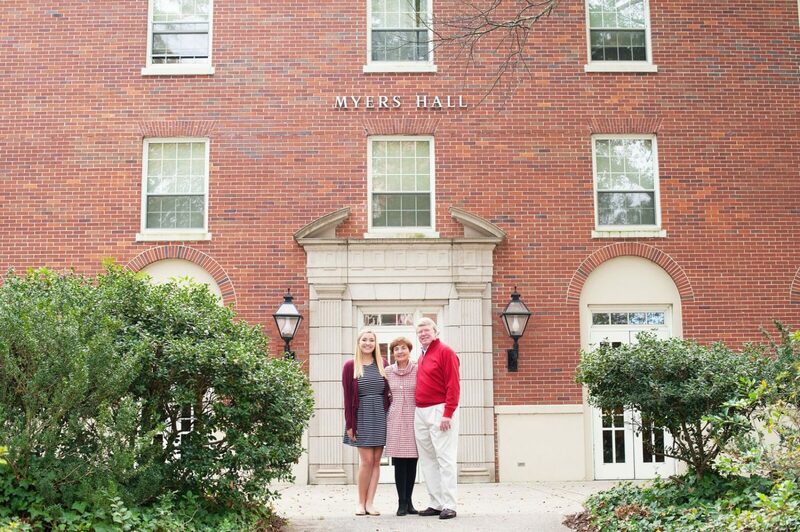 Hartwell generously donated a new portrait of her grandmother to ensure that her role as an early advocate for women’s education at UGA continues to be honored for years to come.